Cozumel is an island located less than 50 miles from Cancun, Mexico. It covers an area of around 250 square miles, and in this area, you can find dozens of beautiful beaches. It is one of the main reasons why people choose Cozumel Island as their next holiday destination. The vast majority of the island consists of beaches and jungle. Of course, there are some great things that you can do in the water around this unique island. One of the beaches that have grabbed the attention of many tourists is el cielo cozumel. The Spanish word for “heaven” is used rightfully in this case because El Cielo Beach looks like it’s out of this world. Where in the Map is El Cielo Beach located? It is a common question today because for many years this beach was hidden from the public. Just a few locals were aware of the existence of this secluded beach. Things had changed a few years ago when many boat tours included El Cielo Beach in their offer. Of course, this doesn’t make the beach less spectacular. On the contrary, there are many things that you can do and see in El Cielo. But, before you do that, you must know the location of el cielo beach. Playa El Cielo or El Cielo Beach is located close to the southernmost point on Cozumel Island, in the southwestern part to be more precise. There are no towns or significant places in this area except for playa snorkeling palancar to the north and the lighthouse to the south. Playa El Cielo is also close to Colombia Reef and Laguna Colombia. This place is not accessible by car even though the Quintana Roo C-1 road is not very far. You have to go on foot through the jungle to get there. So, the only reasonable way to get to El Cielo is by boat. That’s what most people are using when they want to reach this incredible place. At the same time, people are using boats because they want to practice snorkeling here. It makes sense because there are crystal clear waters and abundant marine life in this area. 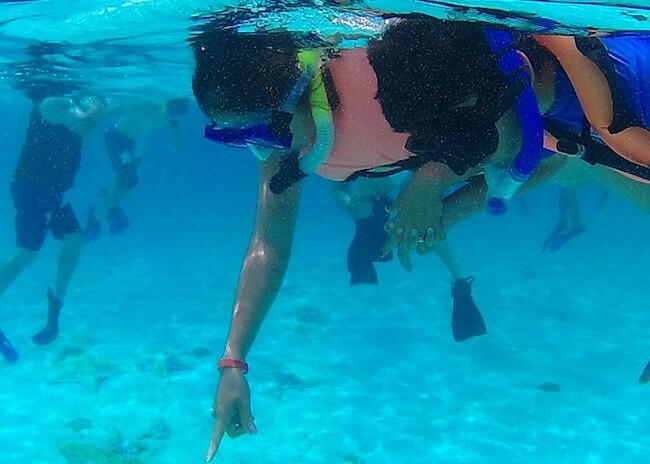 How is the experience of the Cielo Cozumel Snorkeling Tour? The water in El Cielo is very shallow, just 3-4 feet and you can see as far as your eyes can see because this area is known for the transparent waters. The El Cielo Cozumel snorkeling tour operates in a specially designed boat that can reach shallow waters. The tour includes all equipment you’ll need for proper snorkeling – life jackets, snorkel, fins and mask. 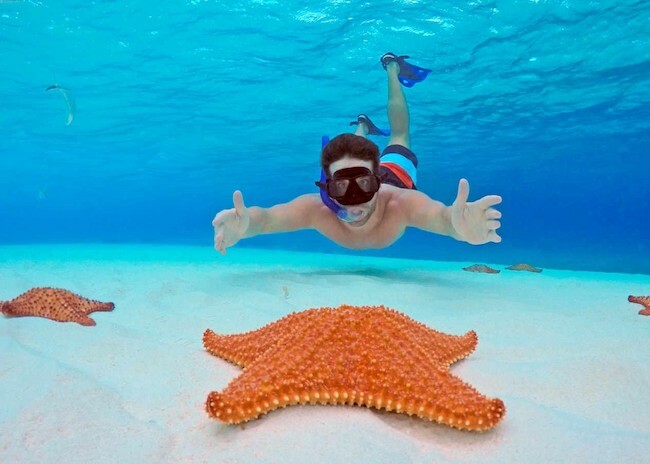 You can see most of the marine life found in Cozumel Island with an El Cielo snorkeling tour. But, this area is best-known for the starfish. It looks like the bottom of the sea is covered with these beautiful creatures. If you are careful enough, you will see much tropical fish too. All in all, this is a tour worth trying.